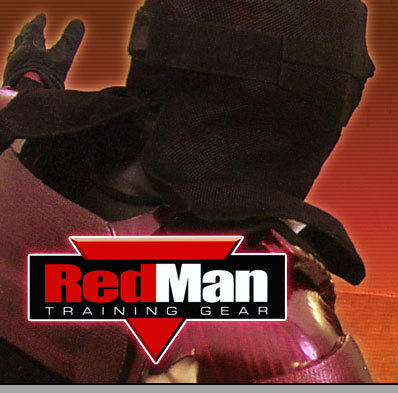 SETCAN Corporation - RedMan Products. 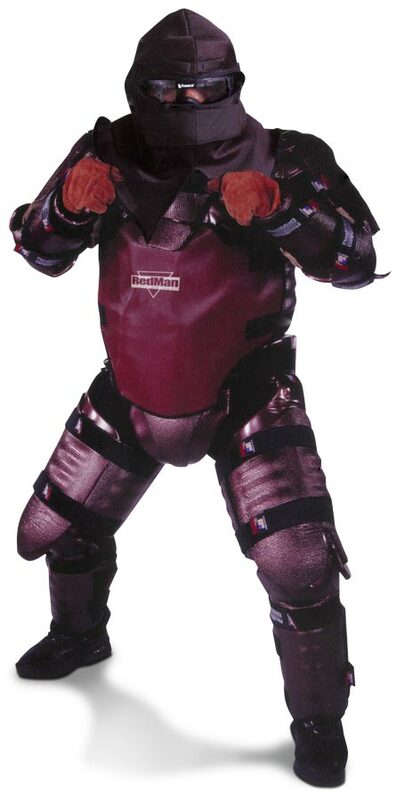 The plastic trauma plates disperse impact, to provide all-day instructor protection. 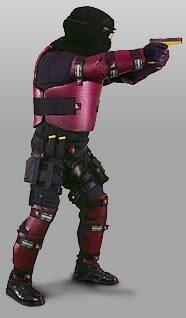 Extended, form-fitting design gives full bodycoverage with minimal gap. 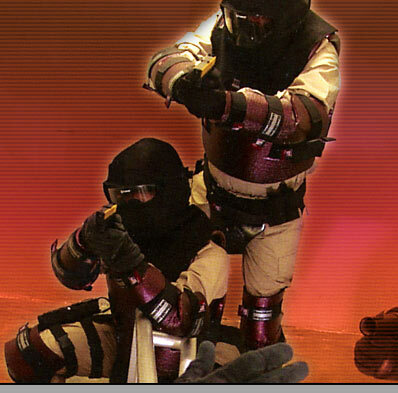 Student configuration accommodates duty belt during training. 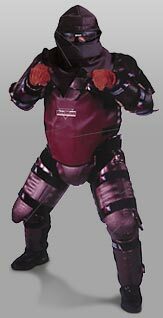 The WDS Mesh covering enables trainers to enhance their programs by adding modified weapons and RedMan-approved training projectiles to increase the level of force-on-force training. 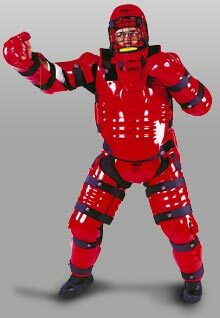 In addition, the RedMan Instructors' suits are made with trauma plates sandwiched between high density foam for impact dispersion, resulting in better protection. 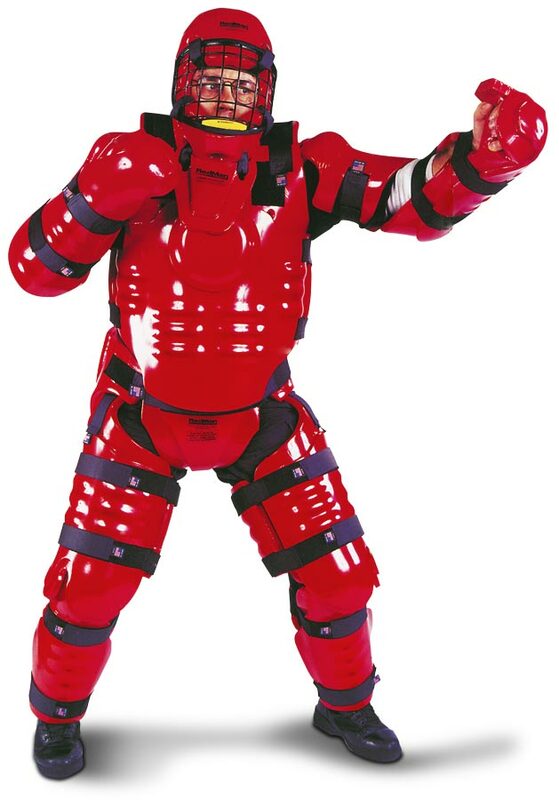 The Student configuration accommodates duty belt during training. 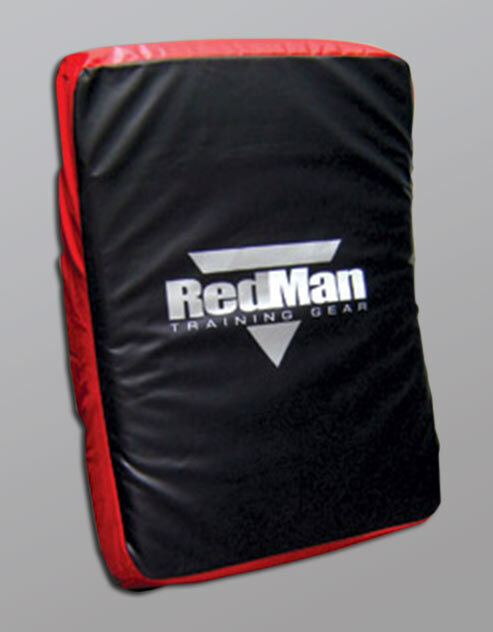 Once again, we help keep officers safe with an extra thick folding mat for padding training room walls and floors. Attach them together with the hook/loop sides and create duty assignment mock-ups like benches, couches, beds and steps. 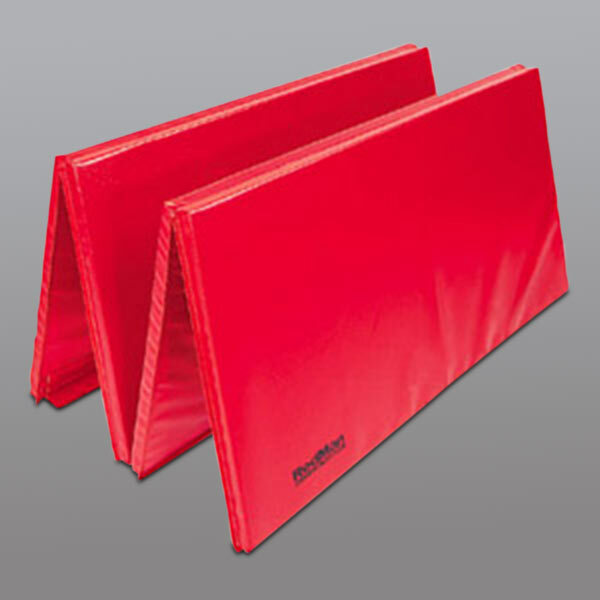 The large 4'x8' x 1 1/2" mat is made from cross link foam and doesn't break down with wear. Velcro on four sides. 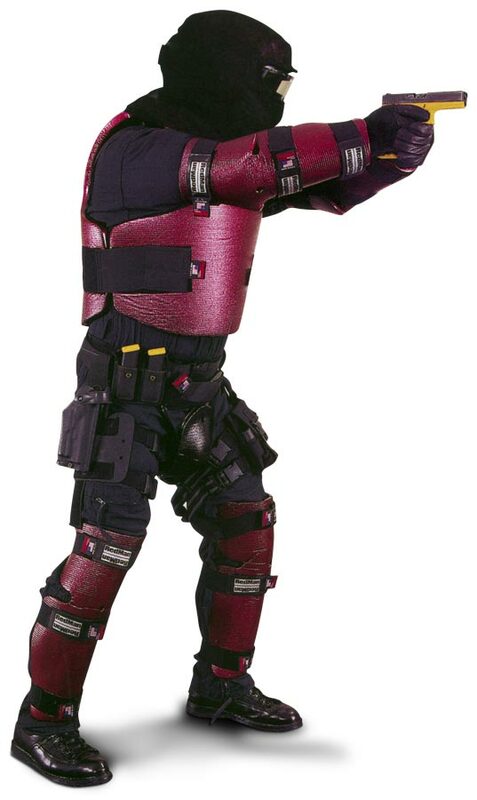 This Shield is tough enough to handle the force of a duty baton � �must-have� gear for any defensive tactics or corrections training scenario. Oversize design, adjustable, body forming. Get email notification on new product updates & demo/course info.